The staff at Shutter Tours™ are happy to announce the beginning of our tours on May 1st. Your guides, Kristi, Valentina and Terry have continued to worked diligently to bring to Seattle a walking tour that is unlike any other in the city. Our tour appeals to both beginner and experienced photography lovers. We look forward to serving you on your visit to Seattle. 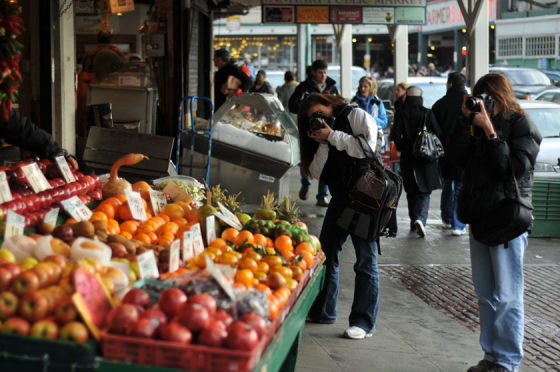 This entry was posted in Announcements and tagged cruise, guide, photo, photograph, photography, photos, pike place market, Seattle, things to do, tour, tours, trip, vacation, walking. Bookmark the permalink.